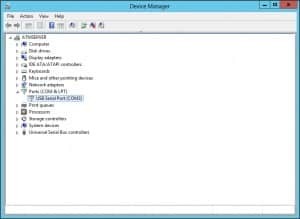 This post will guide you through how to connect to, configure, and access your PowerConnect from factory defaults. The steps below are confirmed to work on the PowerConnect model listed above, the 5424, but I know it applies to many other models as well. Purchase a NULL MODEM cable. It is imperative this wording is found in the description of the cable you purchase. The cable should have a female DB9 connection to interface with the PowerConnect, it can be any connection on the other end as long as your computer can be connected to the switch. For this I used an FTDI based DB9 to USB cable. The reason is, I have no systems with a serial port these days. 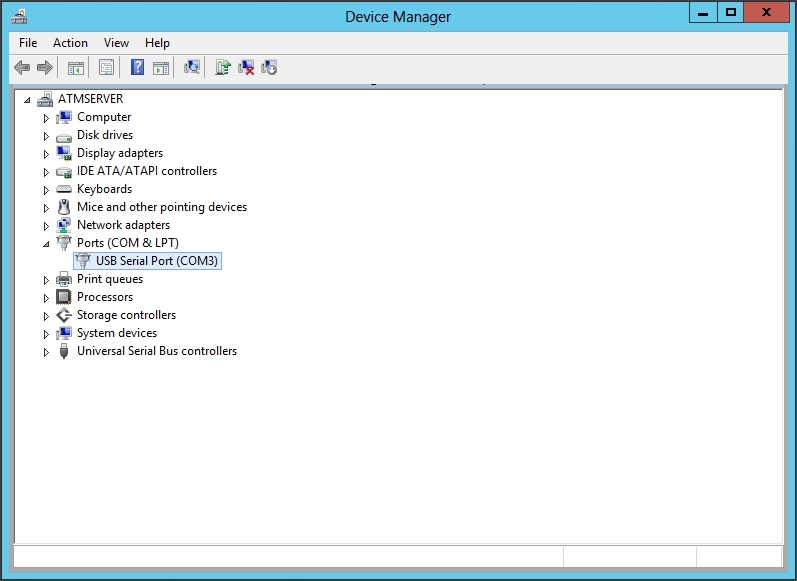 FTDI has great drivers for USB to Serial emulation. NOTE: If you are not using a USB to DB9 cable, please skip the driver installation portion in Step 2. At this point you’ll want to install two drivers from FTDI, I’ll list them below. Connect the switch to the computer you’re going to use to configure it. At this point you’ll also need to open Device Manager. 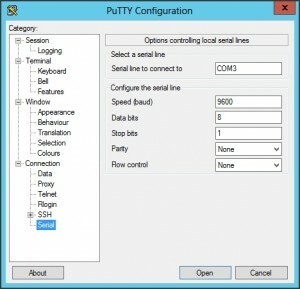 Take note of the COM port listed here, you’ll need it for telling PuTTY the correct interface to use. Further listed as “COM#” in later steps. My COM port was COM3, so you’ll see this in all the screenshots. 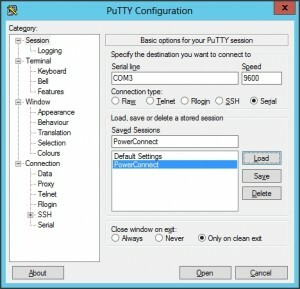 Run PuTTY and configure. I’ll list the settings you need to change on each page and then show the screenshot of said page. At this point type “PowerConnect” into the “Saved Sessions” box on the Session page. Click Save and you’ll have all these presets for use later. 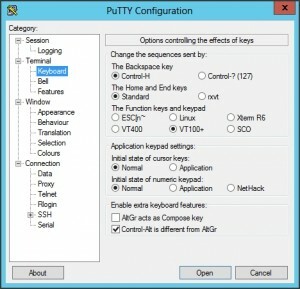 Click “Open” and PuTTY will open a connection window. Be patient here, it takes a while for the connection to finalize. 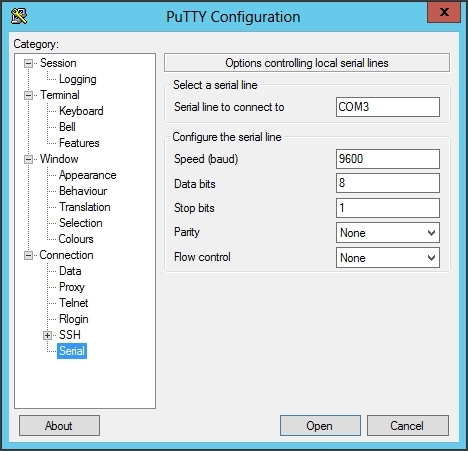 Once you see “console#” in the PuTTY connection window, you’re ready to move on. 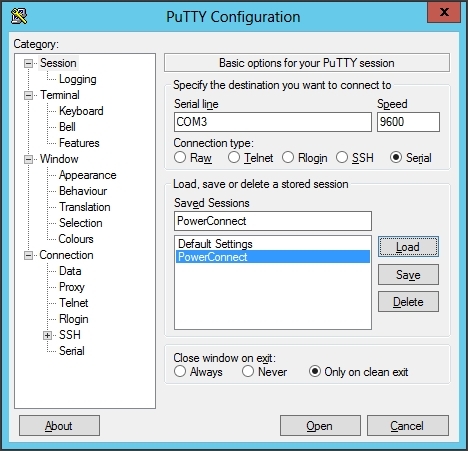 Configure the PowerConnect switch with a default IP Address. NOTE: For the best results please configure your router to have a static IP for the router before progressing in this step. This will ensure the router does not try to assign a different IP than your PowerConnect is looking for. Again, I’ll list all the commands needed and then show a screenshot so you know what to expect the PuTTY window to show you. You can replace Admin and pass1 with your desired username and password, I know I did. The IP address 192.168.0.10 should be replaced with the static IP you configured earlier. The default gateway 192.168.0.1 should be replaced with your router’s default gateway. This is a Dell suggested configuration, your CLI manual can tell you more about this. 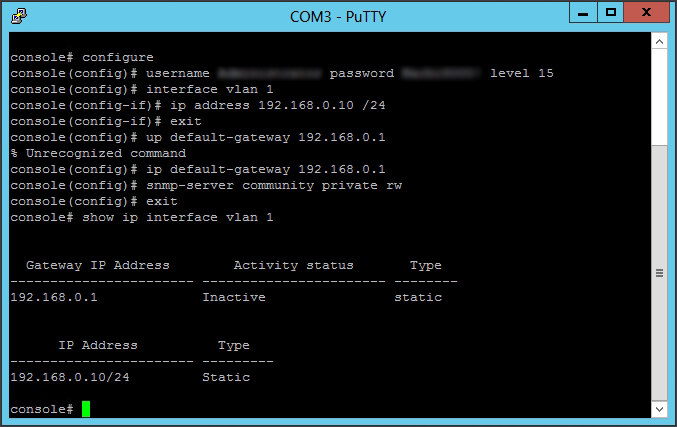 This step will return the Gateway and IP Address of the switch confirming your commands earlier stuck. 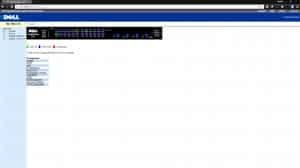 Access the switch from any computer/device on your network to confirm everything is functioning properly. To do this simply type the IP Address assigned earlier into a web browser. The page you see should look like this. 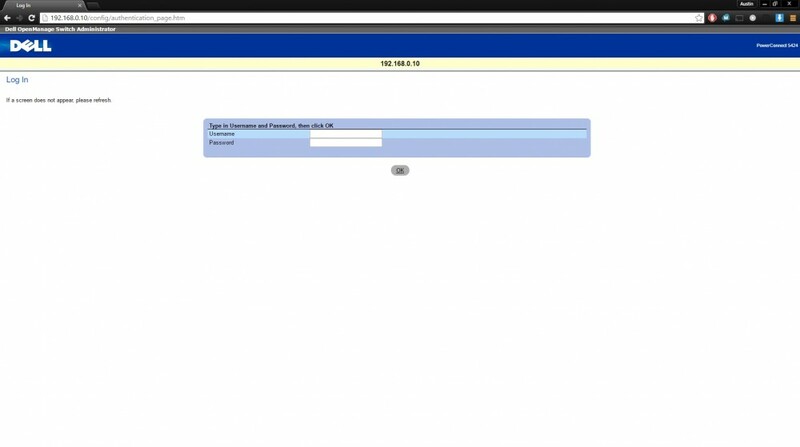 Enter the username and password you assigned in Step 7 to log in to the PowerConnect. You’ll then be at the dashboard, it looks like this. Now you’re done! It’s ready to configure and use to your pleasure. At this point you should be able to connect your router to the switch, connect all devices to the switch, and have everything function properly. Thanks! Hopefully it keeps someone out of all the screwing around I had to do.